KPPP is an easy tool for configuring your PPP links and therefore highly recommended. It comes with the default installation of KDE Linux. The dialer acts much like a Windows dialer and its therefore very intuative. KPPP also has a good help system built in. If you just right click on the majority of the buttons in the application, a menu will pop up with an item called "Quickhelp". Clicking it will give a quick summary of an item. 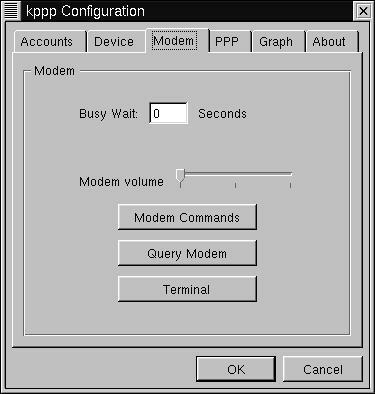 The opening screen of kppp will list any available connections, and allow you to specify a Login ID and password for the connection. There is also a "Show Log Window" option. 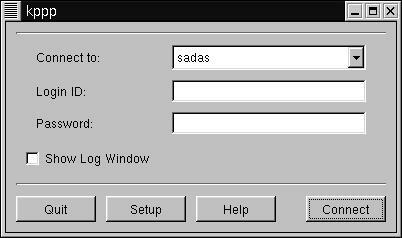 Selecting this will show a log window. This can be handy if you are trying to debug a connection. 1.) Click on the "Setup" button. Then select the ACCOUNTS tab. 2.) Select NEW. Another menu will pop up. 3.) 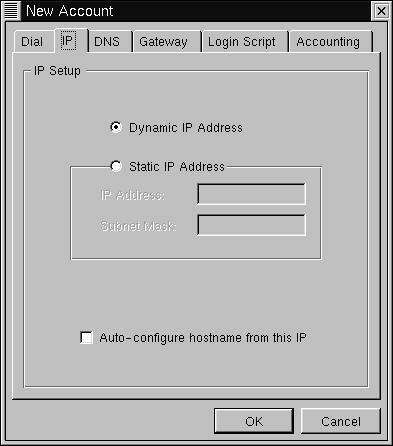 Specify the name WEBCS.COM DIALUP as a name for this connection in the "Connection Name" box. Enter the primary phone number you will dial into. 4.) Select the type of authentication and set it to PAP. You can optionally store your password between sessions. 5.) Now, click on the IP tab. Make sure it is clicked as Dynamic not Static. 6.) Click on the DNS tab. No domain name is needed. 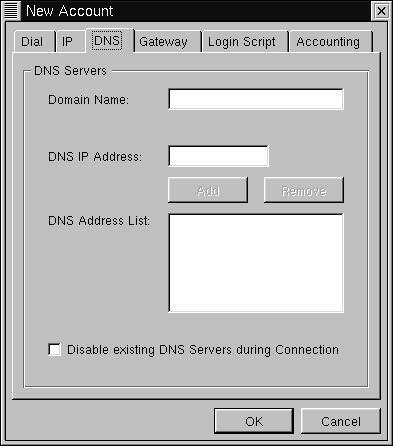 Enter the two DNS IP addresses we provided you at setup individually and press ADD each time. 7.) Click on GATAWAY tab. Make sure default or dynamic is selected and not static. The box marked "Assign the Default Route" should be checked. 8.) Click OK to finish the creation of your dialer account. 9.) Now continue to the DEVICE tab. It contains configuration information about your modem. 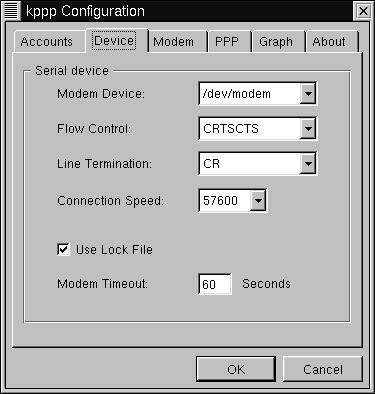 You can select the device, flow control, line termination, and connection speed. If your modem is already setup here we recommend leaving these settings as is, otherwise select your desired modem. 10.) Click on the MOEM tab and make sure to but your volume on so you can hear the modem working when you dial. If you do not hear it the modem is not configured properly or the line is not connected to the jack properly. 11.) Click OK to leave all menus. Now ensure your connection is selected in the "Connect to:" box, and click CONNECT. You should be good to go!